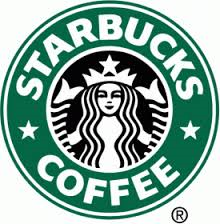 Starbucks Corporation (NASDAQ:SBUX) is planning new menu to drive its slacking growth rate in the American markets. The coffee chain is planning to add beer, wine, and snacks to its domestic cafes while working over a mobile ordering system. The changing consumer taste and shopping habits have affected majority of coffee chains and fast-food restaurants. With these new efforts, the coffee-maker is targeting audience that prefer online shopping against visiting the store. At the same time, the company is projecting growth in its food revenue to $4 billion in the next five years and the primary focus of the coffee-chain is to work upon its food options for the lunch hours. At the same time, Starbucks Corporation (NASDAQ:SBUX) is projecting additional sales of up to $1 billion with the addition of food, wine, and new menu additions at nearly 3,000 cafes in the American market. The coffee-maker is catching up with other fast-food chains and cafes with mobile ordering system that will help consumers make an order easily. Starbucks Corporation (NASDAQ:SBUX) is conducting its investor meeting in Seattle discussing its latest plans. In addition to these offering, the café chain will offer better delivery sense in dense urban areas. The company is expecting revenue growth of $1 billion from its Evening Experience (Booze and Food) by the ending of 2019. Starbucks has international expansion plans including opening more than 3,000 stores in China by 2019 and expand its global store chains. Starbucks Corporation (NASDAQ:SBUX) opened 50 new stores in India in the last two years.